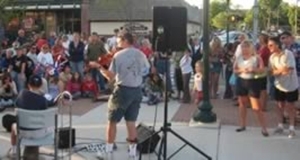 Stroll the Streets fills downtown Boyne City with music and fun every summer Friday evening from 6-9pm through Labor Day weekend. Music ranges from traditional folk, bluegrass and jazz to rock. Special activities include magicians, caricature artists, face-painters and balloon-twisters. This is the 2018 lineup. Check back for the 2019 schedule.